Car accidents are frightening anytime, regardless of whether you’re a driver, passenger, or even a bystander. They are, no doubt, particularly frightening to pedestrian victims. As an Oakland pedestrian accident law firm (with additional offices in San Francisco and Santa Rosa), we are here to help pedestrians who are injured in Northern California car accidents and families left grieving after a pedestrian is killed. In today’s post, we look at a recent accident in Antioch involving a young pedestrian and some statistics for pedestrian accidents in Oakland and Antioch. KRON reports that a serious accident involving a young pedestrian occurred in Antioch last weekend. At approximately 1:55 PM on Sunday, a vehicle driven by a juvenile hit a parked car which, in turn, hit an 11-year-old girl near the intersection of Rockford Drive and Alumrock Drive. Although police report that her injuries were minor and she is expected to recover, the child pedestrian was airlifted to Children’s Hospital in Oakland for treatment. The California Office of Traffic Safety (“OTS”) compiles statistics on a range of traffic safety information and allows users to compare specific cities with other California cities of a similar size. This information helps to identify traffic trends and potential problems as well as determine allocation of grant funding. Importantly, OTS cautions that while the numbers and subsequent rankings may indicate potential problems, there are a range of factors that can impact the numbers in any given year. 2013 is the most recent year for which OTS’s site lists statistics at the time of this writing. In terms of pedestrian accidents, OTS lists the total number of “[c]ollisions in which there were victims killed or injured and a pedestrian was involved.” Although this does not specifically indicate that the pedestrian was the injured individual, given the reality of vehicle-versus-pedestrian accidents, we presume that was the case in the vast majority of these incidents. OTS also breaks down the numbers to show accidents involving pedestrians aged 15 years or younger and pedestrians over age 65. When it comes to pedestrian accidents overall, Antioch had better numbers than most cities of its size (it is in “Group B” which includes 56 cities with populations between 100,001-250,000 people) in 2013. Antioch had 29 total pedestrian accidents which places it 35 of 56 where “1” is the city with the highest number of pedestrian accidents (in other words, “1” had the worst numbers and “56” the best). 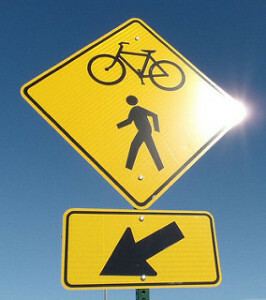 Antioch was one of several cities in its category that saw no accidents involving pedestrians 65 or older during 2013. However, Antioch saw 9 accidents involving pedestrians 15-years or younger placing it in a less-favorable 12th spot and a ranking that concerns our team greatly. Our firm is also very concerned by the number of Oakland pedestrian accidents. Oakland is part of “Category A,” the 14 California cities that had populations over 250,000 as of 2013. Oakland took the very worst spot for overall pedestrian accidents in 2013 for its group with 263 incidents. The city didn’t fare much better when the accidents were broken down by age, coming in with the 2nd highest number of accidents involving both pedestrians 15-years-old or younger (38 incidents) and the 2nd highest number of accidents involving pedestrians over age 65 (26 incidents). Attorney Greg Brod is a pedestrian accident lawyer in Oakland and also serves the surrounding communities. Our entire team works hard to get accident victims the compensation they need and deserve. Still, as members of this community, we would rather see accidents prevented than see people’s lives irreparably changed by a vehicle crash. Please, be safe out there and help prevent accidents from occurring in the first place. We’ll be here if you need us.